Mezzanine is a space created in the above of a room that already exists. They are flexible but are public areas than can be seen from below. Typically, a mezzanine is open and supportive space in it. Mezzanines are usually built to add some more areas for vital functions. It could be a bedroom, a working area, a library or others. Some even opt to have a mezzanine even if it doesn’t have a specified usage yet. The design of a mezzanine depends on how it will be used. Mezzanines are useful and can also add some beauty in your interior design. If you are looking forward for a home improvement by placing a mezzanine, you have to consider lots of things. It is not just the budget that is important but it is the structure on how it is built and also the design to make it useful and functional. 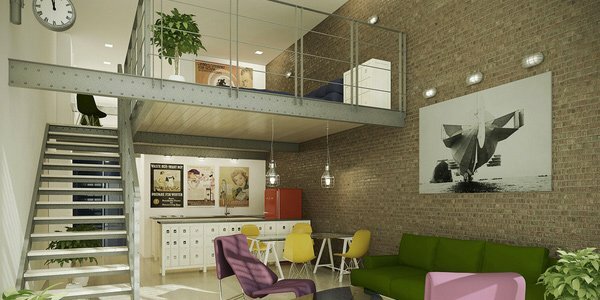 So, here are some tips to aid you in designing a mezzanine. Before you even start building your mezzanine, you should plan everything well so that you won’t regret having one. If you do not plan well, your mezzanine might eat up a lot of space, making your house look smaller and crowded. So, think well if your house could really accommodate a mezzanine. 2. Determine your available space. Your mezzanine dimensions depend on your available space. 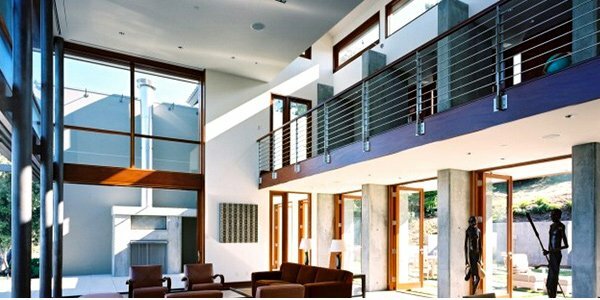 If your home cannot accommodate a wide mezzanine, then do not insist in putting one. Also, the function of the mezzanine depends on the amount of space. If your area is small and you want to have a mezzanine, the mezzanine has to be small also and could be used for a library or a small working area only. You could have determined before hand on what your mezzanine is for. It can be a bedroom, a library, a work area or whatever you want it to be. But you have to make sure that the amount of space for your mezzanine is suitable for the function. If it is smaller than you expected it to be, then do not insist on what you want. You better think of other functions for it. Bear in mind that it is not just beauty that matters but the strength of materials used is even more important. See to it that your mezzanine is sturdy. You can use wood, light metal, mild steel or concrete. You can also make use of transparent materials to create a feeling of openness and light like translucent glass, metal mesh grids and wooden grills. 5. Avoid going too high. Do not make your mezzanine too high. Of course, if you make it higher, it would cost more for you but it would be better and safer if you have a mezzanine no higher that 2.7-3.0 meters. This way, you will be ensured that your mezzanine will be sturdy and secure. 6. Consider the spaces above and below. See to it that the spaces above and below your mezzanine is appropriate. Above the flooring should be enough for you to stand up right. No matter how small it is, the space should be enough for moving around the area. Below the flooring must also be functional. One should be able to walk under the mezzanine towards an area. 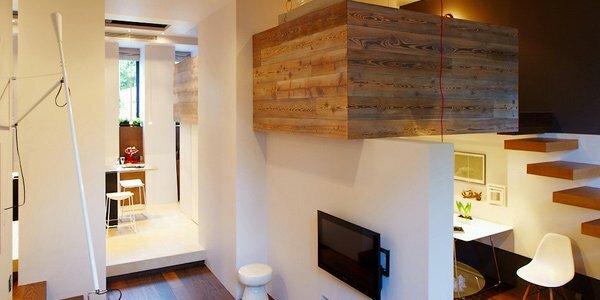 But if the space below is small, it could be used as a storage space. When designing a mezzanine, it is important that the stairs are accessible. Also, be sure that the stairs are safe. 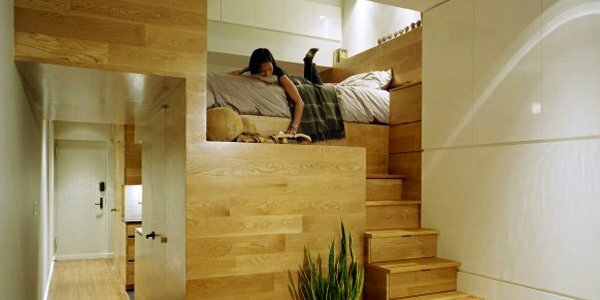 You can also be creative in your stairs design. Just be sure that it will not consume too much space. 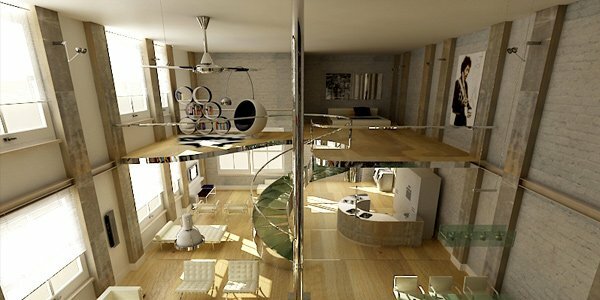 Some use spiral stairs to save space. 8. Address heating and air circulation issues. See to it that when you design a mezzanine, you have to consider this two things- heating and air circulation. When heat rises, it might become so hot in your mezzanine. So, try placing an insulator so that it will not absorb heat. Making it open can also help in air circulation. 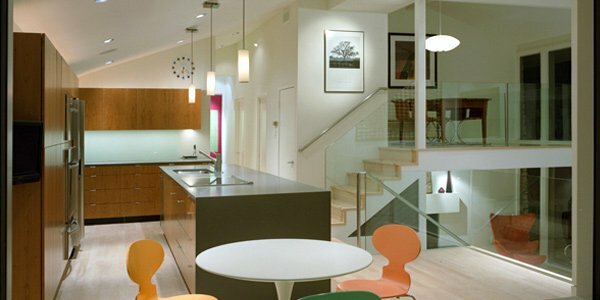 Choose lights that are right for your mezzanine’s function. Be sure also that the lighting can be controlled from both in the mezzanine area and from below. Doing this can let you turn on and off the lights even when you are not in the mezzanine. 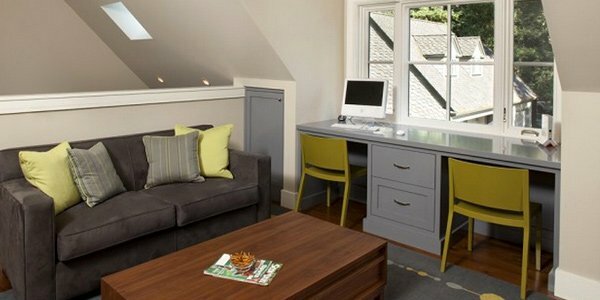 Your furniture will vary depending on the function and usage of your mezzanine. But it has to be comfortable as always. Lighter furniture is recommended so that you won’t have a hard time placing it and so that your mezzanine can surely bear its weight. 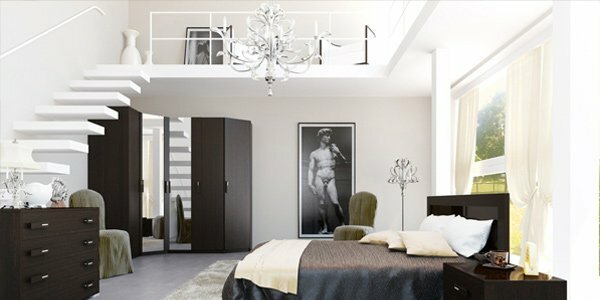 Bear in mind that before you come into the design, you need to make sure that your room can accommodate a mezzanine which means it has high ceilings and there is enough space for one. If not, then do not keep on insisting to have one. After that, it is up to you to decide if you will place a home library or a bedroom into it. This article is very informative and it has nice pictures. Thanks!